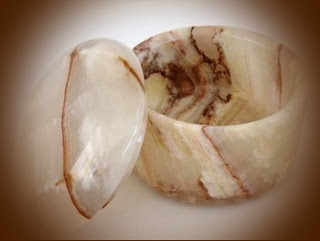 What’s in Your Alabaster Box? I have an old shoe box. Packed away somewhere. Filled with precious things. Love letters from my pre-wedding hubby. Old mementos. Probably a pressed flower or two. And other things I don’t even remember. I haven’t seen its contents in years. Do you have a box like that? Is it filled with precious keepsakes like secrets, baby shoes, love letters, awards? We keep tokens like this because we value them, maybe not so much for worldly value but for heartlyvalue. We have all read or heard many times of the story of a box (or jar) made of a highly esteemed stone, containing a prized ointment of great monetary value. Such a touching and devoted gesture. An alabaster passion box, full of an extremely valuable, perfumed oil of spikenard poured out on the One she loved the most. What would happen if we considered our heart as our alabaster box? What precious things fill your heart? Special memories of love? Treasured moments with friends or loved ones? Encouraging words said to you? Cherished times spent with the Lord? Or maybe it is filled with bitter memories of anger, abuse, addiction, or unforgiveness. When you meet with your Beloved, to dine in His presence, to sit at His feet and tell Him you love Him, what passion fragrance do you pour out on Him? Or do you pour out that overflow of sweet-smelling love, gratitude, and thanksgiving? Does your Beloved Lord receive it as He did the loving gift of spikenard? ~Lord, may the contents of our alabaster hearts and lives be poured out as a pleasing aroma in Your presence. In ancient Jewish tradition, a mother wove a seamless garment for her son when he left home. Did Mary do this for Jesus? No one knows but I’m pretty sure, if she held to tradition, she must have. If Mary lovingly created it, Jesus wore it, probably wearing it before His betrayal when He went to Simon the leper’s house. As He reclined at the table, a woman came and broke open her beautiful, alabaster passion box, full of the extremely valuable, perfumed oil of spikenard. In Eastern culture, the garment of the bridegroom was saturated with rich perfumes. As this woman lovingly poured out her precious possession upon the heavenly Bridegroom, it permeated His garment. Are our trust and faith as that sweet aroma of the alabaster passion box poured out to Jesus? Do our offerings cost us something, or do they have little meaning to us? 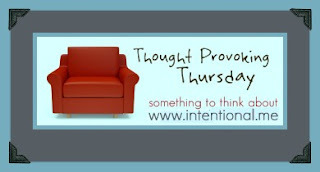 If we give God what is of little value to us, how will it be of any value to Him? If a sacrifice is to be a true sacrifice, it must cost something to give it. A true, sacrificial worship gift costs us the surrender of our money, for we give sacrificially, as the widow who gave her two mites. It costs us the surrender of our time, for we sacrifice it to put God first. It costs us the surrender of our hearts, for we sacrifice our love to those who hate us. It costs us the surrender of our lips, for we sacrifice our praise to God when all seems lost. What have you given Him? What does it cost you? Will it be, as David said, “that which costs me nothing”? (2 Sam. 24:24b NKJV) Whatever it costs, it must come from a loving and willing heart. In ancient Jewish tradition, a mother weaved a seamless garment for her son when he left home. Did Mary do this for Jesus? No one knows but I’m pretty sure, if she held to tradition, she must have. If Mary lovingly created it, I am sure Jesus wore it, even wearing it before His betrayal when He went to Simon the leper’s house. As He reclined at the table, a woman came and broke open her beautiful, alabaster passion box, full of the extremely valuable, perfumed oil of spikenard. As she lovingly poured it upon Jesus’ head, it probably trickled down His cheeks, seeped into His beard, and gently dripped upon His shoulders, saturating His garment. Whatever it costs, it must come from a loving and willing heart. 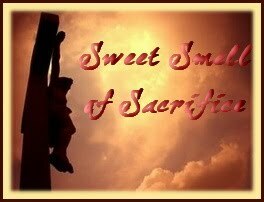 Jesus gave you His sweet sacrifice of salvation. What have you given Him? What does it cost you? Have you given your heart to the One Who gave you His life? May you experience that sweet smell of Easter’s sacrifice in a fresh, new way this year.